In Bhutan, events in the human and natural world turn on the same seasonal wheel, while the Buddhist belief in reincarnation links all of creation in a still bigger cycle .The Buddhist philosophy of re-incarnation places every living thing, from the humblest to the highest, in one chain of, birth, life and death. All life is part of this spiritual procession linking the souls of humans and animals together in the common purpose of achieving the ultimate goal of Nirvana. Compassion and good deeds to lower life forms speeds on the individuals' passage from this world to a higher plane in the next. 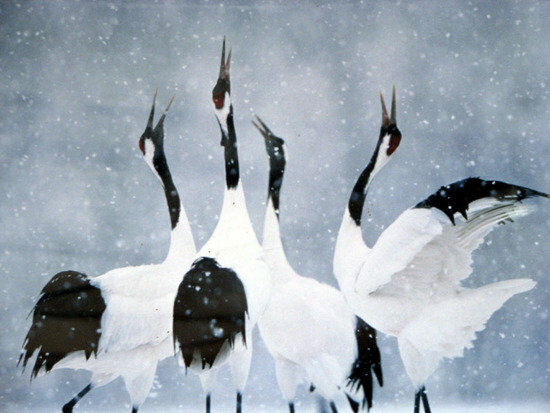 Black-necked cranes are thought to live as long as 80 years.According to tradition, the cranes will in the prescribed Buddhist manner circle the monastery three times on arrival in a clockwise direction as a mark of their devotion before finally landing in the center of the marsh. 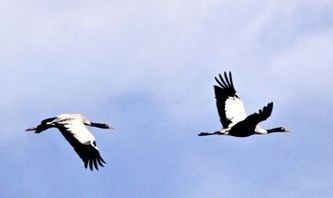 Here in Bhutan's Pobjika valley and Bumdaling valley, the cranes are protected. To kill a crane carries a sentence of life imprisonment. Ten percent of the world's black crane population winters here in Bhutan. 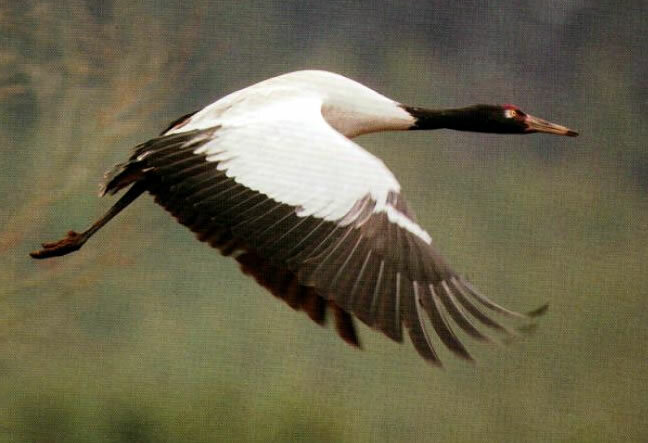 Phobjikha in Wangdue district and Bomdeling under Trashi Yangtse district are two major wintering sites of Black necked Cranes. Gyetsa in Bumthang and Khotokha in Wangdue are two other wintering habitat of the cranes. 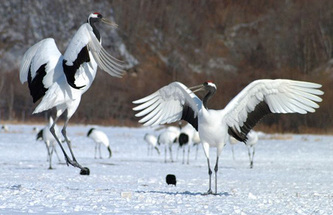 Every year the birds arrive on their wintering grounds between mid-October and early December and remain until March through mid- April. 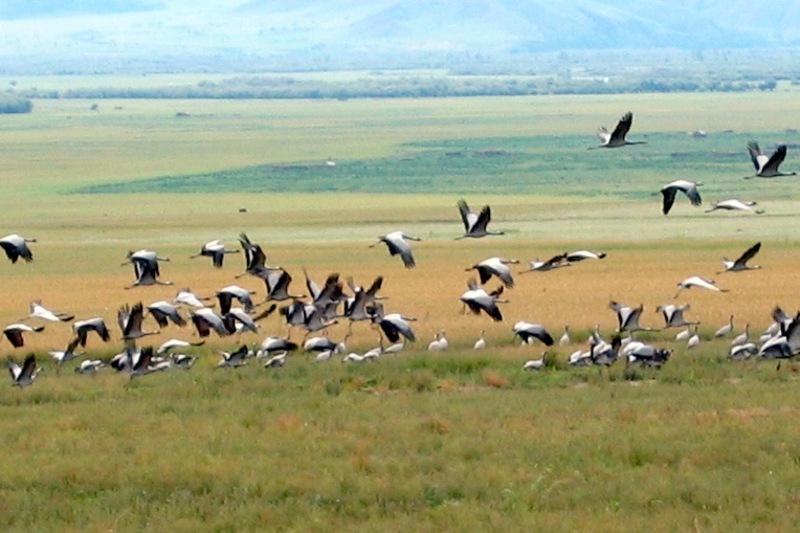 When the cranes arrive, so the local people say, they appear in the sky above the valley, head for the Goemba and circle over the building, before coming into land in the marshy area of the valley floor. 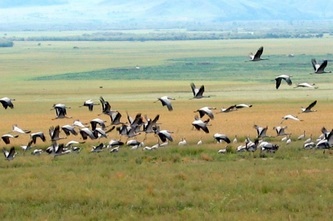 Again, when the cranes decide to leave, they gather together, then take off flying towards the Goemba again, circling the building once again before heading out of the valley to fly north to their breeding grounds.